I have decided to group England and South Africa together as both of them have lots in common. Both the teams are yet to win the tournament and would be keen to set the record straight. England who reached the World Cup finals on three occasions would want to go one step further this time if they get another chance and South Africa would want to be in the finals for the first time. If we look at both the teams, they haven’t had a great year in the shorter format. England reach the world cup after a 6-1 loss against the Aussies and South Africa with a hard fought 3-2 win against the Indians. Both the teams have some exciting players in the X1 and have a good balanced bowling attack. South Africa comprises of a very strong batting line up led by Smith and Amla at the top. The middle order consists of Kallis, Devilliers, Ingram and Duminy followed by Mark Boucher. So a very strong batting line up capable of raking up huge scores on flat subcontinent wickets. The bowling too is extremely potent with Dale Steyn and Morkel leading the pace attack. The spin bowling also received a great boost with the inclusion of Imran Tahir (Leg Spinner) along with Johan Botha. That lends an excellent balance to an attack which normally is pace heavy. So I would say on papers the proteas are one of the strongest contenders for the title. They bat deep and also have an attack which can be dangerous on these wickets. So overall I would say South Africa has come with the best combination to succeed on these wickets for the first time and they would like to make the most of it. England also has a similar team to the Proteas. Pieterson and Trott give them the solidity in the middle order along with Collingwood and Morgan (If he does play). Strauss is a calm head at the top and the captain would surely want to lead from the front. The English bowling has great balance with Anderson leading the pace attack and Swann leading the tweakers. Swann being arguably the best spinner in the world at the moment will be a huge advantage for the English. He also has featured in a full series to the subcontinent in the past which should give him an advantage to bowl in these conditions. All in all both the teams have an excellent chance to make it to the semis but it all depends on their temperament. Both these teams have had chances in the past but have not been able to grab the same and have faltered at the crucial stages. So Smith and Strauss will be mindful of the fact and would want to make this world cup memorable for their respective teams. Accepting having a problem is the first step towards improvement. This is what the Australians have done in the past one year. When they defeated WI 2-0 in a closely fought series the Australian captain said that his side is no longer going to roll over sides as they used to, few month before. This was a good assessment from the captain on the team which was finding it hard to replace few retired players. Australia beat New Zealand and then had the worst few months in the last decade when they were beaten both by India away and SA at home in tests. South Africa also defeated them in the ODI’s to claim the top spot in the rankings. Australia though started experimenting with new players and quickly accepted that they have to do some serious rebuilding if they have to return to their dominating best. They did it admirably. The brought in Phil Hughes who is just 20 and Peter Siddle an unknown material in International cricket and then Hilfenhaus who played in few ODI’s before. They added Marcus North in the middle order who can bowl some useful off spinners and look where they are now. Australia defeated the South Africans away 2-0 without the experience of Brett lee and Stuart Clarke. Ponting is now hailed as the genius who turned it around for the team from a guy who was bashed all around in the media last year and was also asked to step down. Australia back to No 1 spot in test cricket and looking impressive and I have no doubts in my mind that they will regain the Ashes. The English though have gone the other way and currently are on a slippery slope. They are living in denial and don’t seem to be accepting the fact that they are at best No 5 in the ranking. They currently had a poor test series against a team who has not won a series in the last 5 years. The English team and the supporters though are full of excuses, blaming everything else except for themselves for the losses. England though hasn’t won against the top sides in tests since beating Australia in the Ashes in 2005. That’s a long time ago considering the fact that they have been beaten by India, Australia and South Africa in tests both home and away. Their one day form is even worse. The problem with English cricket is that they always think they are better than what they are. They fail to give credit to the opponents and were so happy about the Australian slump last year that they forgot that they are in a bigger one. The Ashes is to start in a few months time and when we look at the progress of both the teams and we know who is clearly on top. 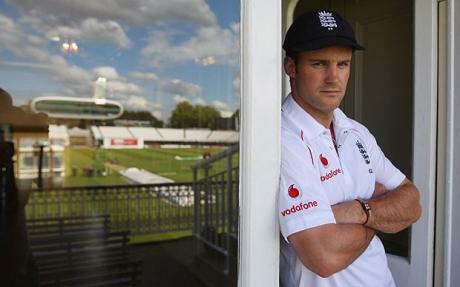 England fired Kevin Pieterson from captaincy after he had some sort of rift with the team members and coach. Considering that KP is only English player who is slightly different in approach from the other captains, it was a big blow for the team. They left to WI saying that it will be almost a walkover and it will be a good practice for the Ashes but what transpired in the last couple of months surely was not in Andrew Strauss’s script. England lost the test series 1-0 and now has lost the Twenty20 badly. England has blamed everything after the test series loss and has currently lost on excuses for the Twenty20. They are currently tied in the one-day series 1-1 after they were beaten in the second game by 23 runs by the WI. They won the first game after a blunder from the WI coach who messed up the Duck-worth and Lewis calculation which handed England the game. I guess unless they accept their failure and do something drastic in the coming months, I don’t see them posing any challenge to the Aussies. Two separate approaches from two separate team managements and the difference is there to be seen. I am thinking another bashing for the English team as they still live in constant denial. Anything other than an Australian win in the Ashes will be surprising and looks highly impossible. England finished on 229 for the loss of 5 wickets on day 1 of the first test match in Chennai. The fact that this series is going on after the Mumbai attacks is really wonderful as this would help to shift the focus of the people in India. England had a great start to the day when Pieterson called right at the toss and decided to bat first. Everyone knows that the key to success in India is to bat first and bat big. England did the first part right but let the advantage slip by scoring too slow and losing too many wickets. The tourists at one stage were 164/1 and were looking good for a big first innings total but to finish on 229/5 was a poor effort. The fact that Paul Collingwood got a rough decision to be incorrectly given out by Billy Bowden did not help their cause either. While rest of the English top order looked scratchy, it looked as though Andrew Strauss was batting on a different pitch. Batting beautifully throughout the day he scored 123 before getting out caught and bowled to Amit Mishra. Eventhough England batted poorly, nothing can be taken away from the Indian bowling on a flat batting track. As Harbajan rightly pointed out after the days play England could have easily scored 300 at the end of the day. Zaheer’s brilliant spell with the old ball and Harbajan’s twin strikes made sure that India finished up with a slight advantage on day one. England still have Flintoff and Matt Prior in their ranks and they would be hoping for a total of 350-400. Day2 is going to be vital for England’s chances in this series. India would be hoping to get an early wicket to put pressure on the lower order. Its going to be an interesting day of test cricket. 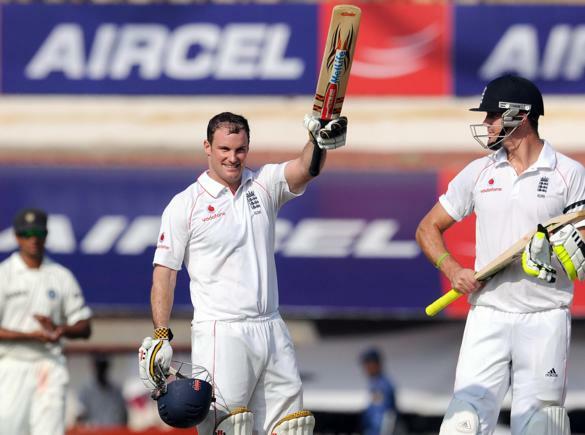 England finished on 229 for the loss of 5 wickets on day 1 of the first test match in Chennai. The fact that this series is going on after the Mumbai attacks is really wonderful as this would help to shift the focus of the people in India. England had a great start to the day when Pieterson called right at the toss and decided to bat first. Everyone knows that the key to success in India is to bat first and bat big. England did the first part right but let the advantage slip by scoring too slow and losing too many wickets.